Andere Kulturen, andere Snacks. 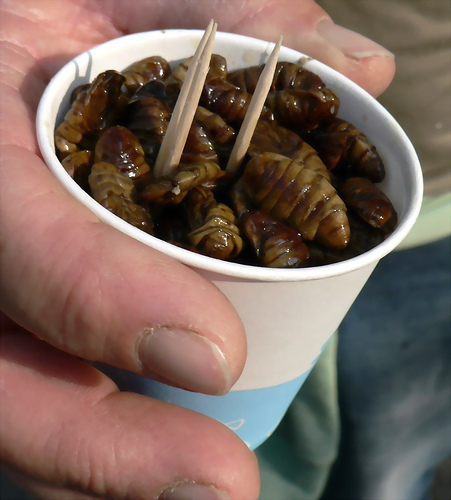 Der koreanische Snack Beondegi (뻔데기) aus gekochten Seidenraupen entspricht nicht jedermanns Geschmack. Beondegi (Korean: 번데기) are a popular snack food in Korean cuisine. 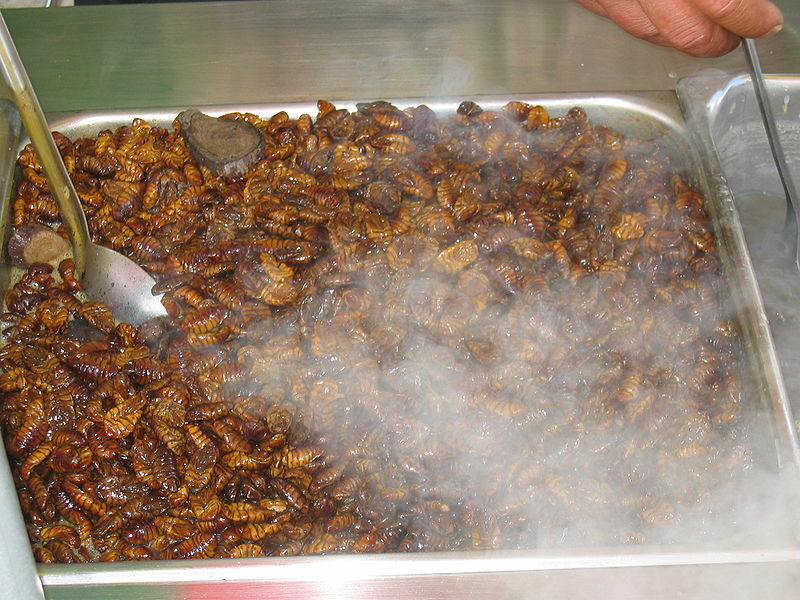 Literally meaning “chrysalis” or “pupa” in Korean, Beondegi are steamed or boiled silkworm pupae which are seasoned and eaten as a snack. Beondegi are often served by street vendors, as well as in restaurants and drinking establishments. They are also sold in cans in grocery stores and convenience stores, but they must be boiled in water before serving. Beondegi is not always sold in the market and is usually sold in packets from street vendors, although it is possible to buy the live variant for personal preparation.